Blockbuster. I was hesitant what to call this article. I almost called it The Downfall of Blockbuster but I realized that was a little too… aggressive. 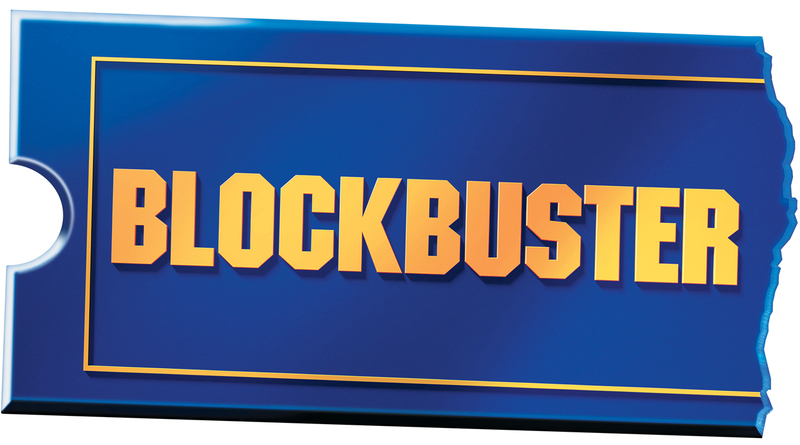 Blockbuster hasn’t done anything wrong… It’s just that we don’t match up anymore. We have different needs. It’s not you, Blockbuster… it’s me. In 2003, one of my roommates in college (Mike) and I went to the Blockbuster in Forest Grove, OR. We had the night free and we ended up spending a good hour or so there, chatting it up with the manager Steve. Great guy. Anyways, he gave us a tour, he showcased what the store had to offer… it was a personal touch that went a long way. How many times have YOU gotten a tour of your local Blockbuster? Anyways, me and Mike ended up getting a joint account. They still greet me as “Mr. Risinger” when the receipt prints out. For the past 8 or 9 years, I have fought hard for Blockbuster. I have been as loyal as anyone could have been. At one time, I had both their by-mail package (3 movies at a time) AND a package where I could always have a movie OR a video game out from the local store. I could go every single day and get a new movie, for like $20 a month. I loved it. The first thing I always checked when I moved to a new city was where the nearest Blockbuster was. I could tell you the nearest Blockbuster in Walnut, Diamond Bar, West Covina, Azusa, Santa Cruz, Riverside, Moreno Valley… I think that’s it. All over. I usually knew the crew that worked there, especially here in Riverside. There was a manager named Carlos. Even though I had every plan you could imagine, he hated giving me free movies (essentially) so he always tried to push candy and soda on me. “2 for $3… Come on. Come onnnn.” It got annoying, but I understand where he was coming from. Even though Blockbuster came up with the plan, they were no doubt losing money because of people like me that had no social lives and changed titles every day. For awhile, Blockbuster, it was great. You were everything I wanted. But eventually, I ran out of movies. Your games were always checked out. I struggled to find movies and shows to watch in-store. So, I gave up my “all you can watch” monthly pass. I still had by-mail. But eventually, I noticed more and more titles were long waiting times. I backed off to 1 movie a time and worked on some shows that I felt whatever about (at this point, I’m halfway through Supernatural but not really hooked on it). Blockbuster opened the floodgates by allowing video games by mail but they are incredibly long waiting times and a game has to be out for two months before it’s available by mail. And then, I go in one day to visit Carlos and the crew, and the store is closed down. I now have no physical place to go, the by-mail service is weak and not meeting my needs, and their stock isn’t up to my expectations. This morning, at 9:31am, I cancelled my Blockbuster subscription. It didn’t do anything wrong, but it’s just not for me anymore. And I know people will be doing this all over the country, which won’t help the cause, but I can’t keep supporting a business that’s doing nothing for me. Am I seeing other people? Yes, but just casually. I have Netflix streaming on PS3. It’s convenient, even though the stock isn’t entirely new. But there are enough TV shows to get me through many winters (even just the Stargate shows would take me another year to get through for a second time). Blockbuster missed the memo on teaming up with other giants in the industry, letting Netflix and Hulu both meet those demands. I also joined Gamefly this morning. When a new game comes out, I want to play it. I can’t be two months behind, especially now that I’m writing reviews and trying to have current information. I’m willing to pay an extra $5 a month for that commodity ($15 instead of $10 for Blockbuster). My needs are just different, Blockbuster. I’m sorry things are tough, but you can’t offer me what I need. Maybe sometime in the future, if you catch up with trends and start offering services that are convenient, affordable, and worthwhile, maybe we can get coffee or something. Our local blockbuster closed down over a year ago. The Hollywood video closed more than 2 years ago. We do still have a Red Box nearby and 2 Blockbuster Expresses inside of Safeway. Usually we just buy movies (you’ve seen the collection), but if we ever do want to rent we can usually get what we want from one of the Blockbuster Expresses.